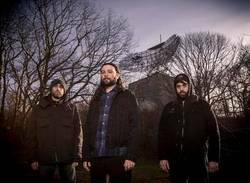 Unearthly Trance is not your usual extreme metal band. Since day one, and the release of their debut album, they have been alchemically working towards their own unique sound. The break-up in 2012 might left some fans disheartened, but the release of Stalking the Ghost this year has definitely made up for it. We catch up with Ryan Lipynsky, vocalist/guitarist of the band, to discuss the new album, the breakup and rejuvenation of the band, his time with Serpentine Path, as well as dive into the occult themes used in their imagery and lyrics through the years. Scene Point Blank: Hey, Ryan. Firstly, thanks for finding the time to do this interview it is much appreciated. When did you take the decision to resurrect Unearthly Trance? "There is no point to creating the same record over again: each time we want something new and honest." Scene Point Blank: I am curious because your breakup was a fairly strange one, as the band itself stopped existing, but you all were full-time members of Serpentine Path, alongside Tim Bagshaw. Was that planned, or did you one by one decide to join the group at some point? Scene Point Blank: What was it like getting back on the Unearthly Trance train? How did you find the process of composing music for a new Unearthly Trance record after a fairly long break? Ryan Lipynsky: It was super easy. I had demo ideas from before the split. We went back and picked out songs that would work together and I was writing new stuff that was really flowing. Once we started, it was like it never stopped. During the break I was writing lots of other stuff that was, on purpose, not like Unearthly Trance. So the fact that I wasn’t really writing music in that specific headspace for a long period had a profound effect on my creativity. As soon as I started writing new ideas and riffs for the next UT album, the floodgates opened. Scene Point Blank: You recorded the new album with Colin Marston, and in the past you had mostly worked with Sanford Parker behind the production helm. What signaled that change? What was the recording process like compared to the previous records? Ryan Lipynsky: Well the last album V was mostly recorded by our bassist Jay Newman. Sanford helped us set up our initial drums session and then Jay took it from there. V was a learning experience of recording on your own. It's scary and intimidating. Especially being a band that recorded the last three records with Sanford. When it came to Stalking The Ghost, we wanted something more local and I previously recorded with Colin with my other band The Howling Wind. I knew he would be perfect because he liked to work intuitively and he was a really cool guy that I got along great with. This recording process was perfect. We set up live and tracked the album as a band. We isolated the amps and that it was you hear. The only overdubs are guitar double, leads, and one vocal track. We wanted it to be all about the tone, atmosphere and performance. The vibe of a real band playing what we hope are good songs. Scene Point Blank: The sound of the band has progressed a lot since the days of Seasons of Seance, Science of Silence, with the drone influences to the doom/sludge of Electrocution and V. How would you characterize the evolution of your sound through the years? Has it been affected by the recent break? Scene Point Blank: You are working again with Orion Landau, who did the artwork for Stalking the Ghost, as well as Electrocution and The Trident. How much guidance did you give Orion, given also that he has worked with you before? Do you feel that he is someone that gets you as a band, and therefore not much guidance is needed? Ryan Lipynsky: Orion also did the art to both Serpentine Path records. Jay and I gave Orion quite a bit of input and he really took what we said and made it even better with each draft version until the final version was agreed upon, which we all love. But again, he totally knows what works for us and how to take our input and quickly move things in the right direction. Unearthly Trance and Serpentine Path have had a long working relationship with Orion so he absolutely just gets us. 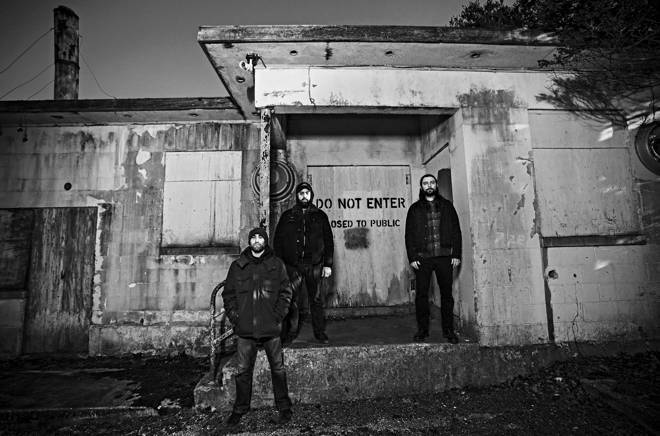 Scene Point Blank: There is a strong sense of ancient imagery and mythology in Unearthly Trance, in album titles (Ouroboros, The Trident) and also tracks ("Mass of Phoenix," "Raised by Wolves"). What is the allure towards such stories and symbols? Ryan Lipynsky: It is a very good question. I think the thing that really bonded us early on in the band is that we all had a shared interest in all things occult + mythology, and all things paranormal. It is what are name means: a hypnotic meditative state of unearthly origin. The Trident was based on our logo. The U and the T. It formed a trident and we were a three-piece. The 3-pronged weapon. Our logo was also a symbol for physic power. I think a slight obsessiveness with Aleister Crowley books is the real culprit for influencing our sense of imagery and mythology. Scene Point Blank: The new album is named Stalking the Ghost. Can you elaborate in the nature of the name? I had an image of the ghost in this case being the actual album, and you (as a band) were stalking it (composing and give it form). Is that a fair assumption? Ryan Lipynsky: Yes you really nailed it. I could not have said it any more perfectly! Scene Point Blank: When you finished with the record and looking for labels to release it through, what was your experience? Was Relapse a given, considering all Unearthly Trance albums since The Trident and both Serpentine Path records where released through the label? Ryan Lipynsky: Yes, Relapse was our goal and they were totally on board from day one when we got back together. Knowing they had our back gave us confidence to really put together a killer new album. I think our working relationship with Relapse has only become better over the years. In 2017 it is a true honor to work with such professional people and to have the ability to still get our music out to the world in physical format in such a vast way too. They have a wide reach and they really have done great with Stalking The Ghost. Scene Point Blank: You have also resurrected Thralldom, and I personally was very happy to hear the new EP, Time Will Bend Into Horror, the first new release in ten years. What pushed you to the decision of returning with Thralldom? How long have you been working on the material for the EP? Should we be expecting more releases in the future? Scene Point Blank: Is the Serpentine Path chapter now closed? Or is there any possibility of you revisiting that project? Ryan Lipynsky: Closed for business at the moment. Never say never. Scene Point Blank: In 2014 Throne Records released the Ouroboros compilation, featuring tracks that were available in the band's vinyl only releases and some unreleased tracks. Is there any more material, unused from recording sessions that we might see being released in the future? Scene Point Blank: How are you going to proceed with Unearthly Trance? I know it is early to ask, but are there any more releases we should be expecting? 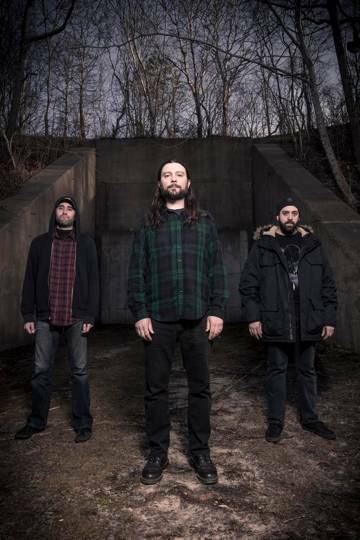 Ryan Lipynsky: We are going to be recording a split with Primitive Man this year with Colin Marston for Relapse. That's the plan for now at least. Words by Spyros Stasis on May 1, 2017, 3:59 p.m.
Posted by Spyros Stasis on May 1, 2017, 3:59 p.m.
Posted June 30, 2018, 11 a.m.
Posted Sept. 7, 2010, 11:37 a.m.
Posted July 29, 2010, 3:15 p.m.